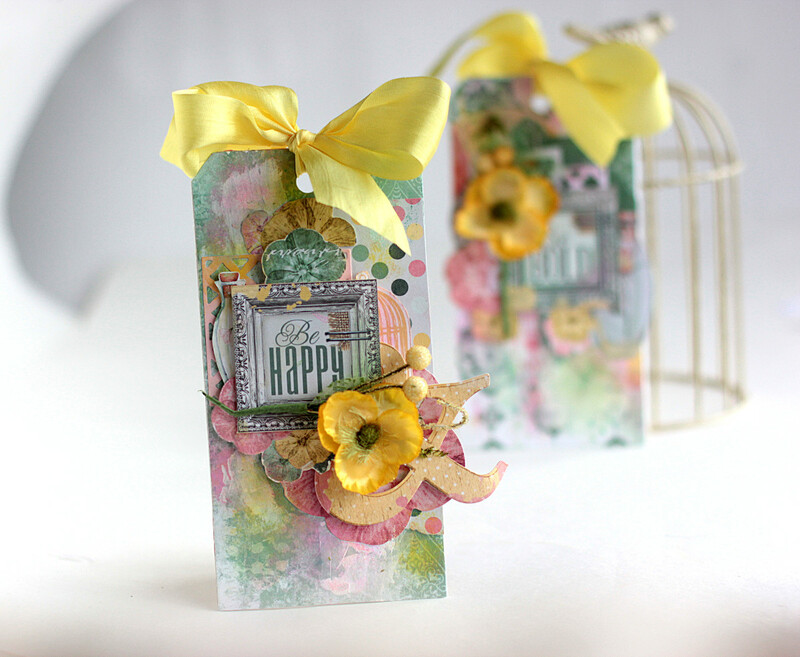 This Summer is quite hot and sunny as usual in my place, so I am keeping playing with the sunny and bright Sunshine Bliss collection. 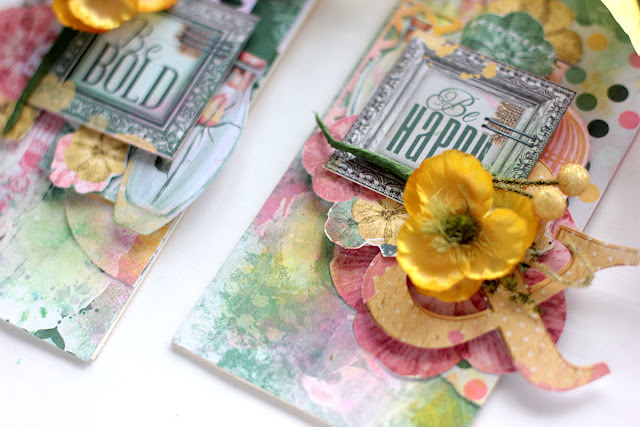 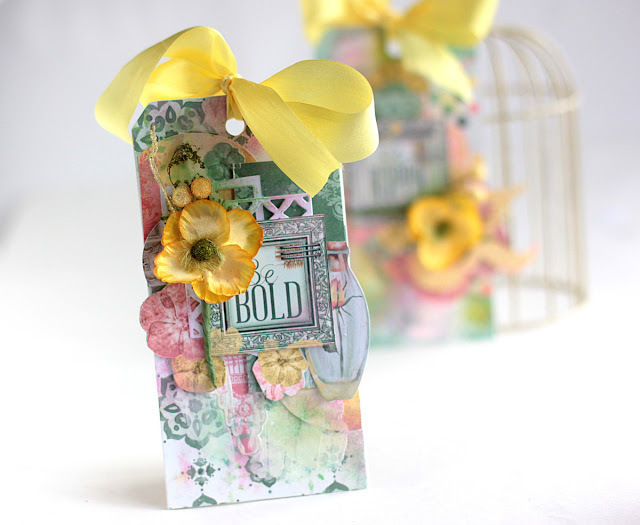 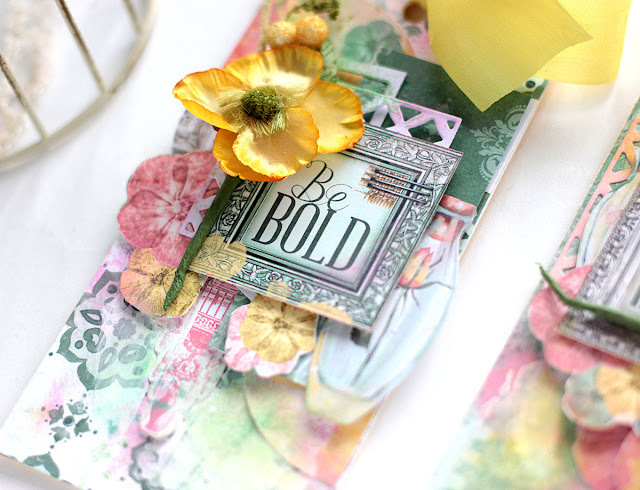 This time I decided to make the bright tags using the papers from the Sunshine Bliss collection and the Color Wheel Inks by Vicki Boutin. 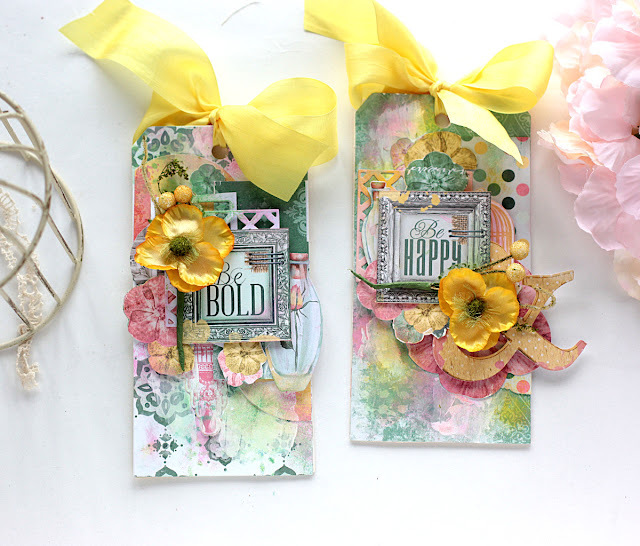 I started with creating the layers on the tags, then I primed some areas with gesso and applied the inks using the soft paper towel, you can use the dry baby wipe too. 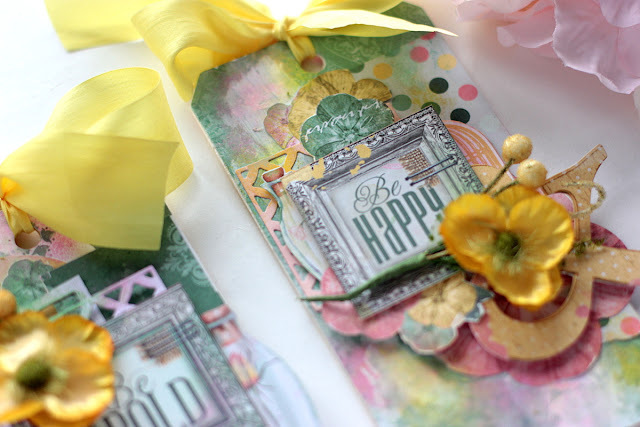 I made the layers in the tag using the die cuts from the Noteworthy pack as well some fussy cuts from the papers I made.